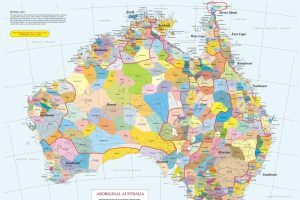 Aboriginal languages once spoken in hushed and fearful tones will now be recognised and protected in legislation, the NSW government says. NSW will become the first state to protect the endangered languages by developing a bill and program including an Aboriginal Languages Centre and support for community-led revival programs. For 35-year-old Shannon Williams, who remembers the Dharawal language being hidden by her grandmother who lived through the stolen generations, the government’s move is another step in the journey of reconnecting to identity and culture. “I can remember stories from my grandmother talking about horrific things, children were removed because they were speaking the language,” she told AAP on Wednesday. Now, Ms Williams has a TAFE Certificate III in the Dharawal language and runs a childcare centre under the Gujaga Aboriginal Corporation. “Language is very important because it’s what links us to the land. A lot of our mob have been dispossessed from our land and language, and a lot of our dysfunction has come from that,” she said. Aboriginal Affairs Minister Leslie Williams said the government had listened to the community and would consult with leaders and Aboriginal language experts to develop a bill that will be introduced into NSW Parliament next year. Two hundred years ago 35 Aboriginal languages and about 100 dialects were spoken but now they were in danger of being lost, she said. “Aboriginal people have told us language is indivisible from their identity … (it) is too precious to be lost,” she said.